A Red Hat Certified System Administrator in Red Hat OpenStack is able to create, configure, and manage private clouds using Red Hat® Enterprise Linux® and Red Hat® OpenStack Platform. Understand and work with director-based deployments. Work with Red Hat® Ceph Storage. 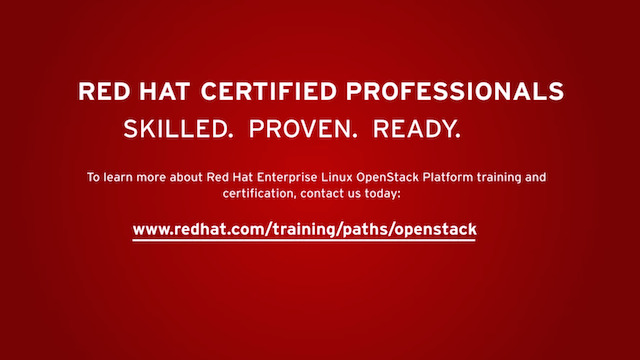 If you’re a system administrator who wants to demonstrate your Red Hat Enterprise Linux and Red Hat OpenStack Platform skills or a Red Hat Certified Engineer who wishes to become a Red Hat Certified Architect, you may be interested in becoming a Red Hat Certified System Administrator in Red Hat OpenStack.